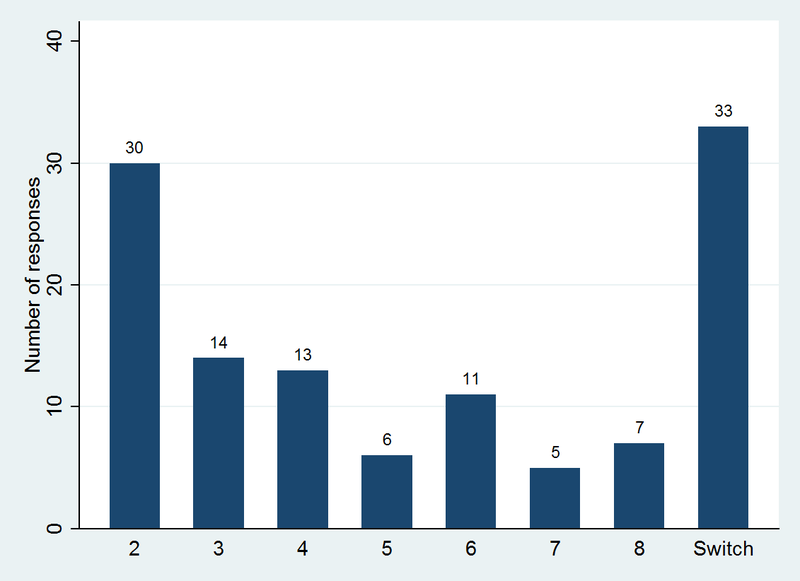 We had a fairly high illogical response rate with many farmers switching more than once from A and B (see far right column of Figure 1). This could be driven by the lack of education. 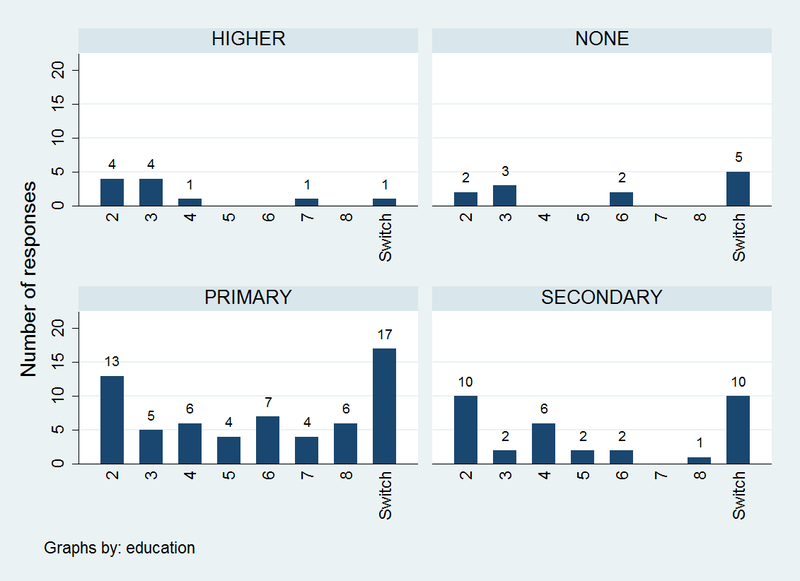 We divide up the responses by self-reported education and you do see that those with higher education are more likely to only switch once compared to those with no education, however, it seems pretty clear the game was difficult to understand. 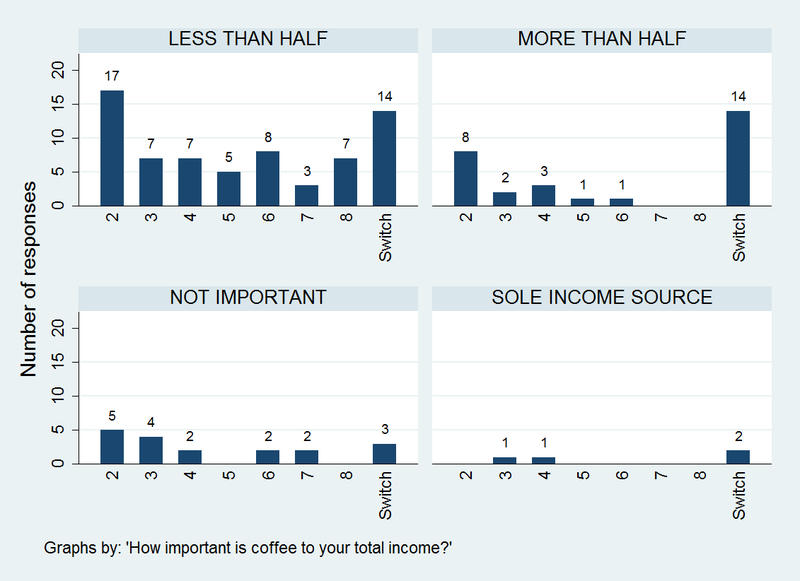 If anything though, it seems like our sample of farmers were rather risk loving, often switching on the 2nd or 3rd row. Further analysis controlling for differences in other responses may be needed as well as tests for statistical significance of the differences identified. Holt, C.A. & Laury, S.K. 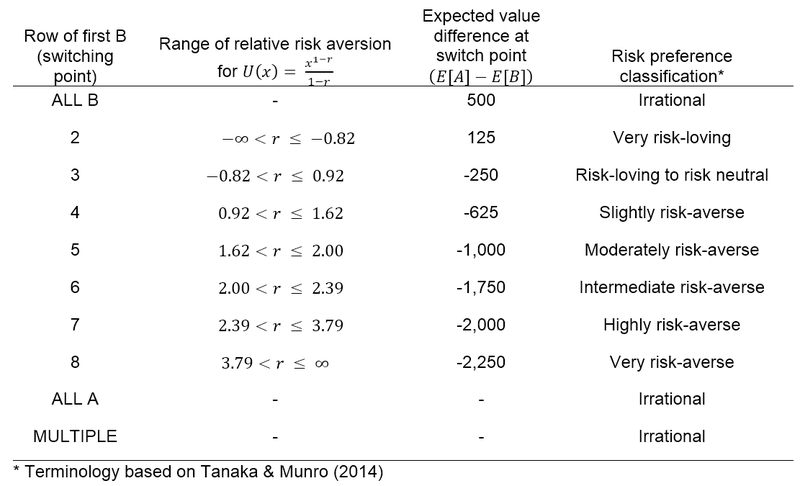 (2002) Risk aversion and incentive effects. The American Economic Review. 92 (5), 1644–1655. Tanaka, Y. & Munro, A. (2014) Regional Variation in Risk and Time Preferences: Evidence from a Large-scale Field Experiment in Rural Uganda. Journal of African Economies. 23 (1), 151–187.